Mexican Paper Cuts, Papel Picado and Paper Decorations. In the towns, villages and cities of Mexico one often sees papel picado streamers stretching from one side of the street to the other. These are brightly coloured paper decorations called papel picado- this translates as paper cuts. They are used to celebrate birthdays, wedding, Day of the Dead, national holidays and many other Mexican celebrations. The origins of these paper decorations start 1400 years ago in Southern Mexico. In a parallel development to paper making technology arriving in Japan via the Chinese Monks. The Mayans, invented paper using bark from the Finca Tree. The paper was used in religious ceremonies, for record keeping and decorations. The paper, called Amate Paper was believed to have magical properties. By the time of the Spanish Invasion in 1519, paper production had spread throughout Mexico. Because of the Amate paper being used in rituals it was banned by the Spanish. However its production continued in remote mountainous villages. In the 1900 the paper drew the attention of academics. The Mexican paper cuts are chiseled out by hand. Templates are designed, tissue paper is stacked in piles of up to 100 sheets then chisels are used to cut the designs out. 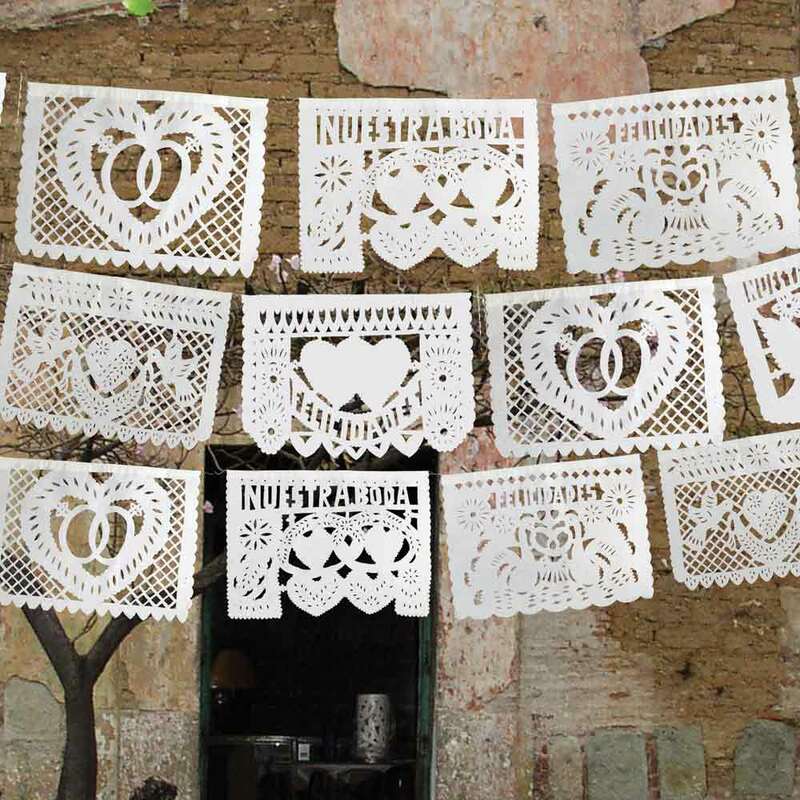 We currently stock Mexican Day of the Dead, coloured wedding and white wedding papel picado. 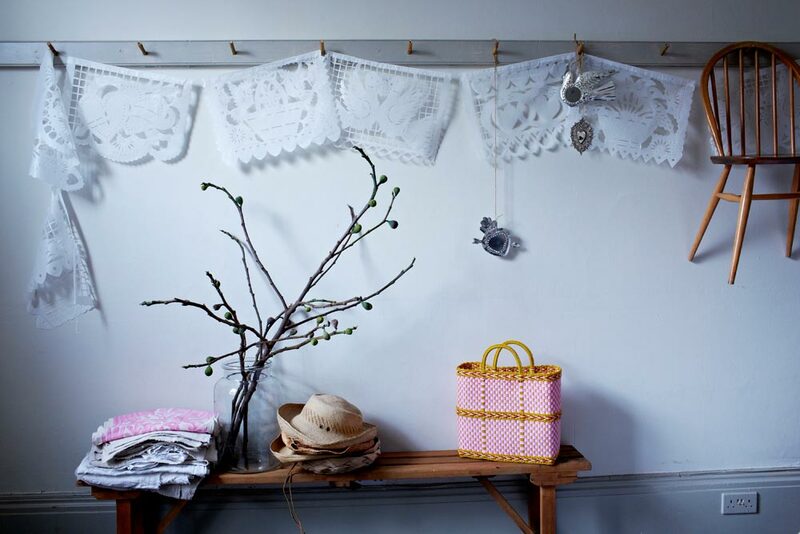 Although we don’t share the same warm, dry climate as Mexico, the paper cuts can be used indoors for celebrations or for more permanent decoration such as in a child’s bedroom, on a balcony or a sun room. Price: £7 each for a streamer of 9 paper cuts. Dimensions: 50cm (width) x 35 cm (height) for each individual paper cuts. A total length of 4.5 m for streamers.